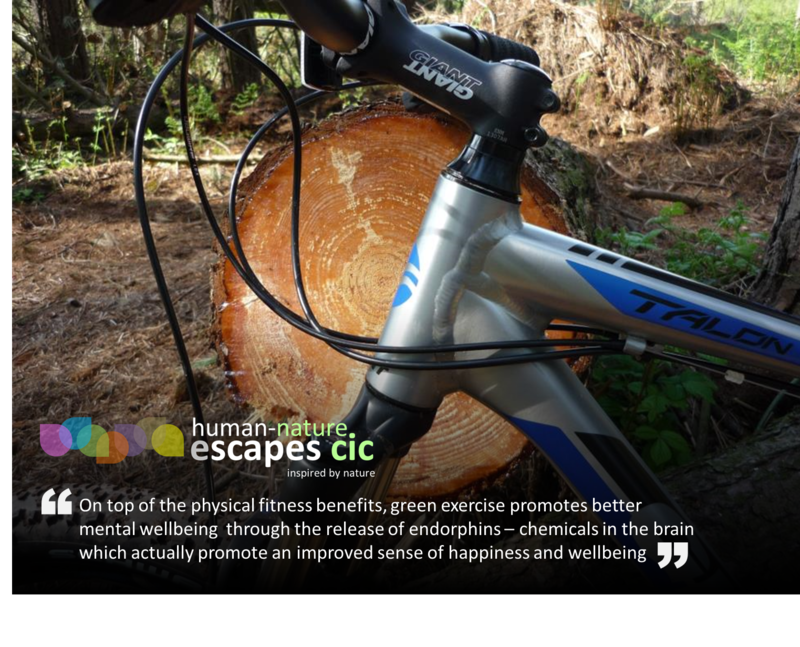 Green space provide opportunities for getting physically active, which, on top of the physical fitness benefits, also promotes better mental wellbeing through the release of endorphins – chemicals in the brain which actually promote an improved sense of happiness and wellbeing. Nature, through the role it plays in stimulating and encouraging physical activity and through the direct impact it has on our emotional state, can therefore help to alleviate a range of psychological problems. Would you benefit from more exercise and being more active? Maybe you don’t fancy hours down at the gym and looking for an alternative? Would gaining some outdoor exercise as part of a small social group suit you better? Maybe you’re feeling a little stressed or a bit low and feel that you need to get yourself out more – then maybe some form of green exercise could be good for you? We have a range of outdoor activities including Nordic walking and mountain biking (gentle/light trails) to get you outdoors, moving and active. We’ll provide all the equipment and instruction and will take things at an easy and steady pace, with frequent rest breaks to suit those just starting out to build up their fitness. If you live in or around the Staffordshire area and would like to join us as a participant, then please use our Contact Us page. We use a range of local green spaces and therapeutic landscapes including parkland, gardens and country estates, plus traffic free cycles routes and greenways. When ready, and for those feeling up to it, we can push out into the local countryside landscapes for an even greater sense of ‘escape’.